A blog of random thoughts on ELT, Web 2.0 tools, and about life in the beautiful region of Abruzzo. 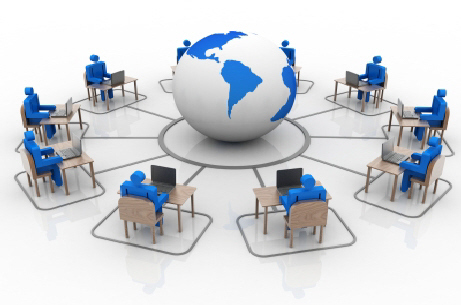 Attending webinars from the comfort of your own home is a fantastic experience! I enjoy playing games with my learners and in this webinar I learned more about the rationale behind using games for learning, and most importantly of all, the presenter offered many practical examples of varied types of games. It was an interactive session with interesting polls, text chat opportunities and games such as charades, being played. Handouts were made available at the close of the session, and these will be invaluable for future lessons. 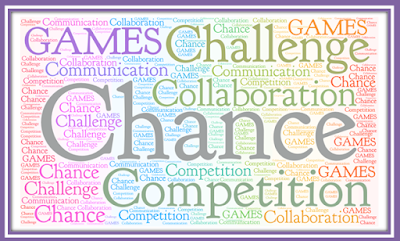 The important thing about games is that they can be used with every type of learner, and used judiciously, games can make language points and vocabulary more memorable. They are indeed a hidden type of repetition drill and if the students are engaged and 'in the flow,' they will not notice that behind the fun, there is a serious element to learning going on. 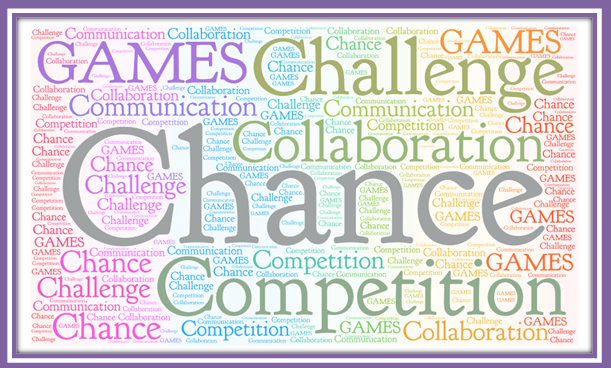 Gamifying teaching in a pedagogical and meaningful way can lead to more learner engagment and motivation. 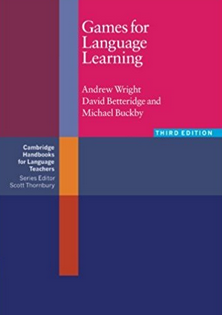 The book Games for Language Learning, by Andrew Wright et al. was mentioned in the session. I have had this book in my personal collection for a while. 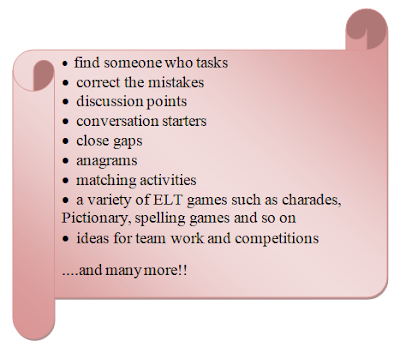 It is a rich resource, full of fantastic and easy to implement ideas for games. According to the author, games as drills form a 'living communication', and this is an interesting point to note. In the article, the focus was on 'Rory's Storytelling Cubes'. I will need to investigate this resource, which looks fun. The notion of 'FLOW' during a game is important, and the book called 'FLOW- The Psychology of Optimal Experience' by Mihaly Csikszent was referred to in the webinar. The use of QR codes in games such as treasure hunts was also mentioned inthe slide presentation. This article QR codes: A treasure hunt, by Nicky Hockly, Director of Pedagogy of the renowned Consultants-e Edtech training website, contains an excellent post about how to go about organizing a treasure or scavenger hunt using mobile phones and QR codes. 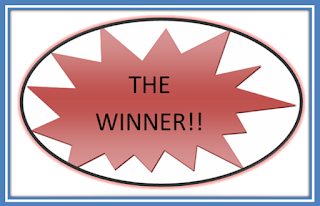 I was so engaged in following the presentation and doing the activities and adding replies in the text chat box, that the one hour session flew past! 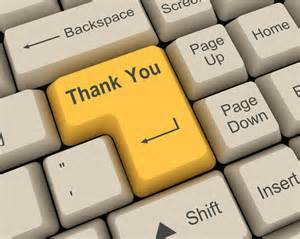 ........ to OUP for this exciting series of practical and worthwhile webinars, and to John Hughes for the inspirational presentation today!! 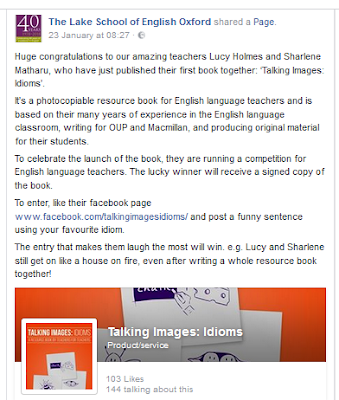 I am delighted to be writing a review of a newly published photocopiable teachers' resource book called Talking Idioms: Images, written by two of my Lake School of English colleagues. 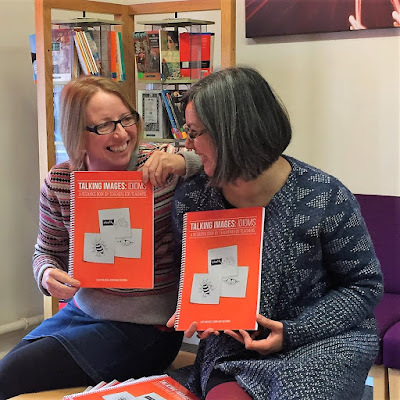 The talented joint authors are Lucy Holmes and Sharlene Matharu and they have been working at the Lake School of English for a considerable number of years between them now. Below an image reproduced with kind permission from the Lake School. It shows the two authors with their book called 'Talking Images: Idioms'. 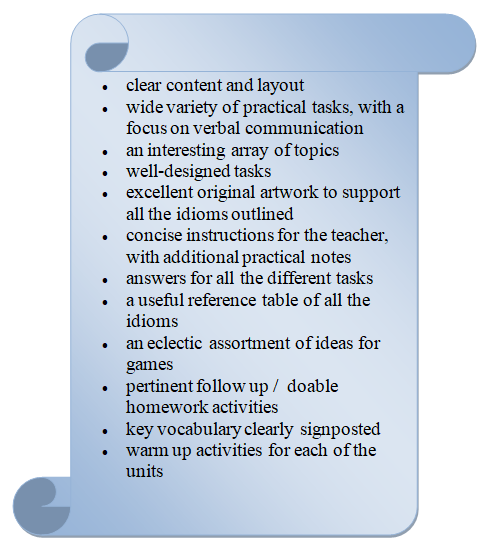 This resource book is created for teachers by two practising and very experienced teachers. You can read more about them here. All the original and brilliant artwork contained in the book has been drawn by Sharlene Matharu herself, seen below on the right. ..........and the warm, friendly atmosphere created by the school by the teachers and staff, and of course, inspired by the many students from around the globe! 'Talking Images: Idioms' has been primarily designed as a 'pick up and use' resource book, and I honestly believe it is and will be the perfect addition to any busy staffroom. It contains a wealth of idioms, all based around practical themes, and using images to gain maximum communicative effect. All the materials have been trialled at the Lake School beforehand, and given the seal of approval by both students and teachers alike. I have recently had the pleasure to have a good look through the contents of the book, which contains 12 thematically based units. Each lesson aimed at B1 level and above, would ideally take 45-60 minutes of classroom time. 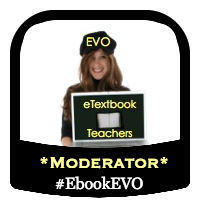 Each lesson has a set amount of clear, logical stages, and thus it makes it an engaging book for any teacher to work through. Once again I would like to extend my warmest congratulations to Lucy and Sharlene, a dynamic duo who have worked so hard to achieve this dream of self publishing their materials. I hope I have given teachers, who are reading this post, a little taster of what the book is for and about. If you do win a copy, please DO make sure to add a comment here to let me know! Can you guess which of the above I have done/ I do in my lessons? Probably everyone has a little bit of an acting side in them if it is nurtured properly. Teach + perform = PERFECT lesson? 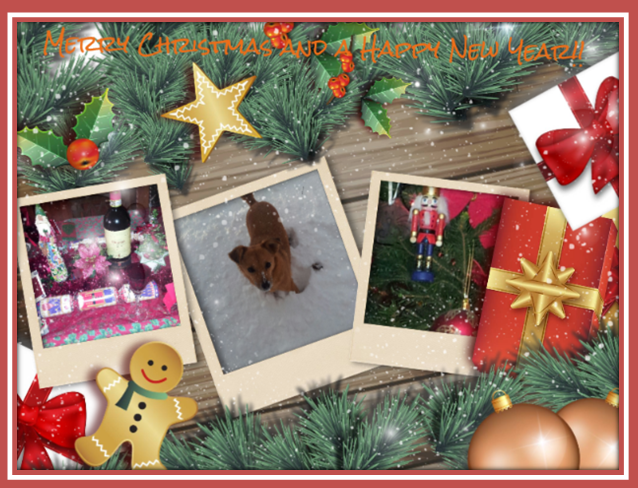 I hope the new year has got off to a flying start for everyone! 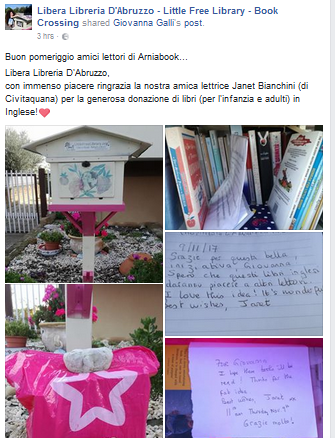 Recently I had a big clearing out of books and I came across an exciting initiative in Abruzzo which proved to be the ideal solution for donating a few of my books in English. The initiative was set up by an enthusisatic book lover, Giovanna G. who has created a small bookcrossing library for free. 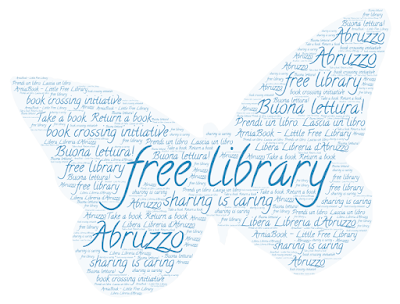 The objective is to take a book and donate a book so that the books are circulated by as wide an audience as possible. This involves trust and respect for each book. 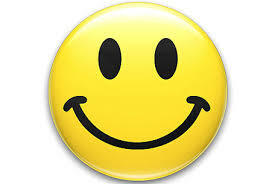 I think it is a wonderful idea, and by all accounts it is enjoying a hugely successful outcome. 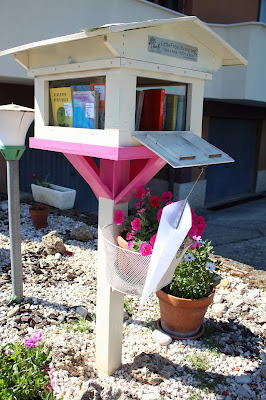 It is part of a larger, national bookcrossing project. 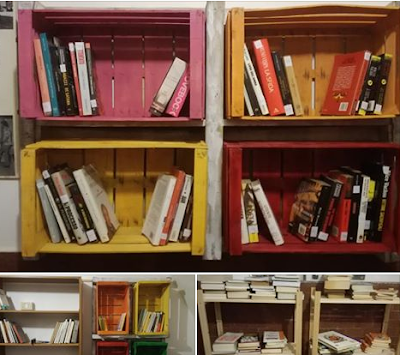 I am delighted to have played a small part in this initiative, and the books I have enjoyed reading in the past, will now hopefully continue to touch other peoples' lives in some way. I have been in contact via emails, with the organizer Giovanna G.and it is evident to see how truly committed she is to realising her dream project. 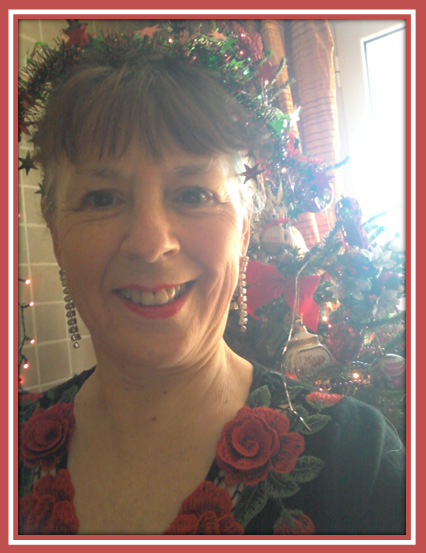 I had the pleasure of chatting to her on the phone just before Christmas and it was lovely to hear her voice! 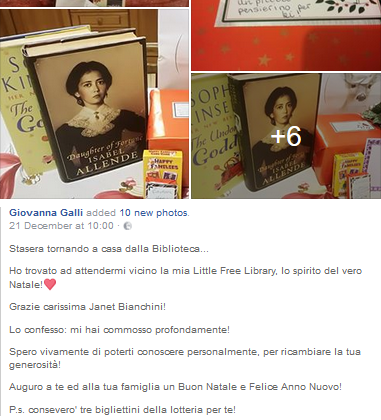 Recently, Giovanna has started up another new and exciting library initiative in the local area, and she has been crowdsourcing the materials and doing creative fund-raising projects. I hope to meet this amazing lady in person, and visit the new library in Villanova. I wish her all the best for a wonderful 2018. 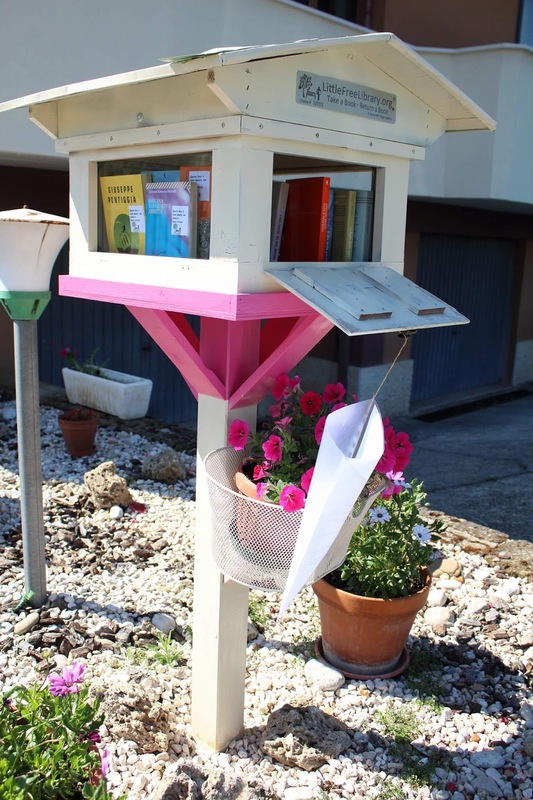 I have just read about the passing away of the original founder of the Little Free Library, called Todd Bol, from the USA. It is a remarkable and awe-inspiring story. I hope the 2017 festive season brings joy, peace, love and happiness all around. Reading Is a Fun Activity. How Can Children Discover That? 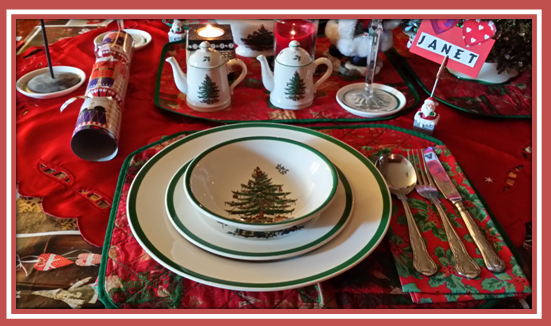 Ideas and thoughts are my own unless otherwise stated and attributed.. Powered by Blogger.